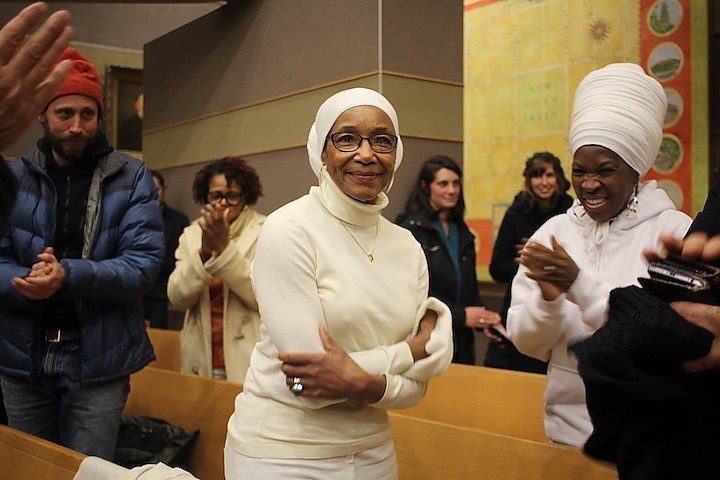 A 22-year quest for justice culminated Monday night as Emma Jones watched New Haven’s Board of Alders vote to create an all-civilian review board (CRB) with power to investigate officers accused of misconduct. The Board of Alders voted unanimously during its first meeting of the year to create the new version of the CRB. That vote came after weeks of public pressure and behind the scenes negotiating among alders and activists. After Monday night’s votes were cast, Jones— who became the most visible proponent of such a board after an East Haven cop chased her son Malik into Fair Haven in 1997 and shot him to death — was given a standing ovation by alders and activists who took the efforts that she started across the goal line.